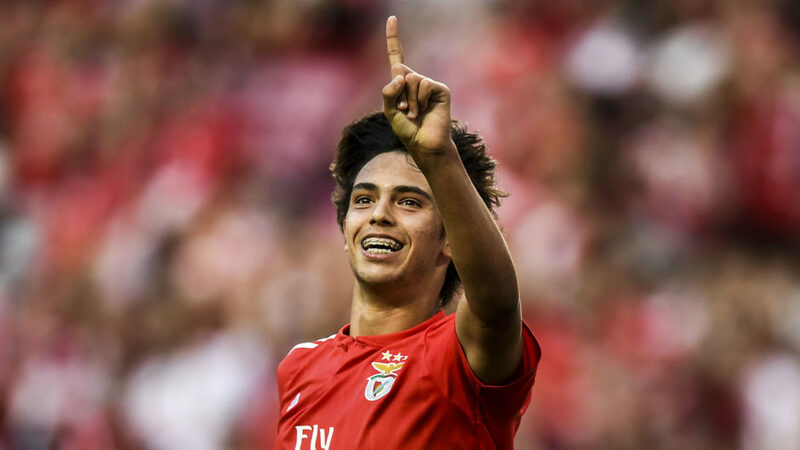 Juventus are very interested in Benfica forward Joao Felix following his explosive season so far in the Portuguese Primeira Liga. The 19-year-old striker has scored seven goals in thirteen league appearances so far for the Águias and is attracting attention from across Europe’s top clubs, including Arsenal and Liverpool. Corriere Torino report Juventus are interested in the player and have followed him closely, despite a reported €120m release clause in his contract. The youngster was interviewed in Tuttosport recently where he revealed his dream is to play alongside his idol, Cristiano Ronaldo. “I’m not scared by the numbers that revolve around me, nor by the illustrious comparisons offered by the media, nor the interest of the biggest clubs on the planet. If anything, I’m flattered. I am a professional and I am very fortunate to be doubly well advised. “My father was a PE teacher, who worked as an athletic trainer and knows very well how things go in our world. He was my first and most important teacher and then I have an agent, who is a phenomenon, the best in the world, Jorge Mendes. “My future? It will be a decision that we will make with a mutual agreement. I am not sure. Personally, I give the utmost respect to everyone and I am attracted by the big leagues like the Spanish, English, Italian and French one. All the best Portuguese players went to play to the most important foreign leagues and, of course, I would like to do it, too. “My dreams? I have two great dreams. I would like to play alongside Cristiano Ronaldo because he is simply the greatest. An idol, a world icon, an example for everyone. Playing with a ‘monster’ like him would allow me to grow even more.